I don't make many sweets or desserts these days since I'm on a no sugar diet and not just the white stuff but fruits too. I've also been avoiding gluten and eating organic as much as possible. If you're gluten free, you most certainly know of Bob's Red Mill products. They have tons of gluten free grains and flours and I have a refrigerator shelf full of them.They also have gluten products that are packaged in a separate facility than their gluten free ones. If you have wheat allergies you can trust Bob's Red Mill products. They sent me four of their gluten free products to try out a couple of weeks ago. 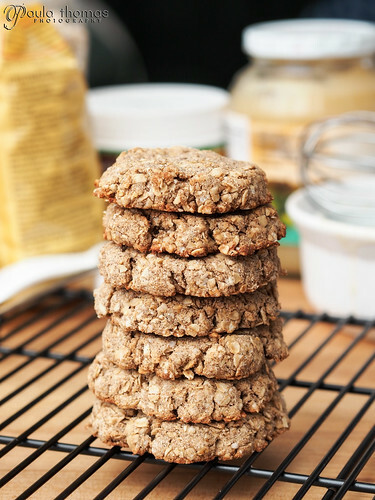 I've been wanting to make a sugar free oatmeal cookie so I spent a long time scouring the internet trying to find a good recipe. I couldn't believe how difficult it is to find a gf/sf one that actually looked good and didn't look like mini pancakes. I finally ended up giving up on finding a recipe and decided to just make my own using three of the four products I got from Bob's Red Mill. I was pretty happy with how they turned out. Mark even seemed to like them. For some reason they kind of have a raisin flavor to them. I'm not sure if it's from the Stevia or the alcohol free vanilla flavoring or maybe a combination of both. The size and shape of these cookies does not change during baking so make sure you make them the size and thickness you want your cookies to be. The texture is similar to what you might find in an energy bar. 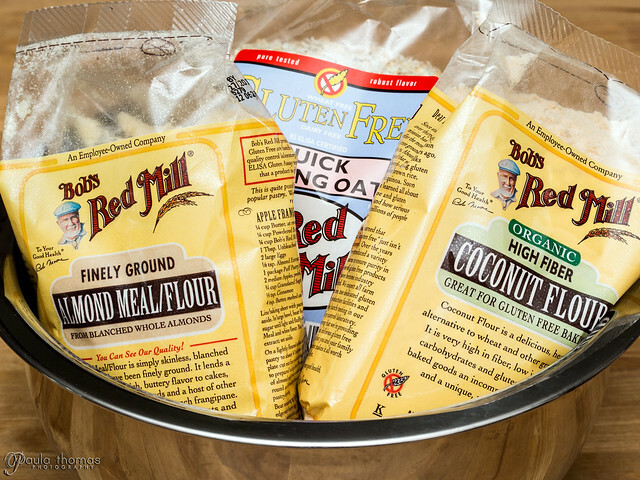 I've never done a giveaway on my blog before so I'm excited to have this opportunity for Bob's Red Mill to send one of my readers the same four gluten free products they sent me which includes quick cooking oats, almond meal, coconut flour and green pea flour. You can probably guess which one isn't in the cookies. I have yet to make anything with the green pea flour but there is a recipe for green pea soup on the back of the package that I may give a try. There are also some tips on the package for using it in baking. Comment on this blog post and tell me what you would make if you win the giveaway. Follow @gapey and @bobs_red_mill on twitter and tweet the following: "I entered a giveaway to win 4 #glutenfree products from @bobs_red_mill via @gapey http://foodurl.info/0nhl " and post a comment on this blog post indicating you have done this. Like Paula Thomas Photograhy and Bob's Red Mill on Facebook and post a comment on this blog post indicating you have done this. 2. Whisk dry ingredients in a medium sized bowl. 3. Whisk egg in small bowl then add remaining wet ingredients and whisk together. 4. Add wet ingredients to bowl of dry ingrdients and stir together with wooden spoon until combined. Note: Cookie dough should be dry enough that it doesn't stick to your fingers and should form a ball when pressed together. If it's too sticky, add more coconut flour and if too dry, add more apple sauce. 5. Form cookie dough into approximately 10 balls and place on a greased or Silpat lined cookie sheet (may require two batches of cooking). Flatten ball of dough with your hand until about 1/2" thick. Cookie will keep this size/shape during baking. 6. Put on middle oven rack and bake for 12 minutes or until bottoms are golden brown. 7. Place cookies on wire rack and let cool. 8. Store cookies in refrigerator. I would love to do some gluten free baking...maybe make some cookies or muffins. I would start with the cookies! I would make donuts with my new doughnut appliance. YUM! I would make homemade granola with dried blueberries if I won the oats. With the almond flour I would make Russian Wedding Cookies. Coconut flour is my favorite--I'd make Texas Sheet Cake (I made it with that last night)! If I won the pea flour I'd go talk to my neighbors who are from India. They make some marvelous Indian tortillas called Papadam and those would be perfect with this flour. If I were to win these, I would be excited to see if the pea flour would work as a great option to thicken soups!!! My son with autism has tons of texture issues and salads and stews are the easiest way to get him to eat his veggies! However, I have yet to find a good stew that will work along the lines of wheat flour in all my gluten free choices!!! Coconut flour!? Wow, I wonder how that would taste in some of my muffins and pancakes that are a very important part of that breakfast before school each morning!!! Oh if I won this I would definitely make almond joy cookies! The cookie flour would be half almond and coconut to give it that both almond and coconut taste! YUM! But I have no idea what to bake with the peas but I am sure I will think of something. 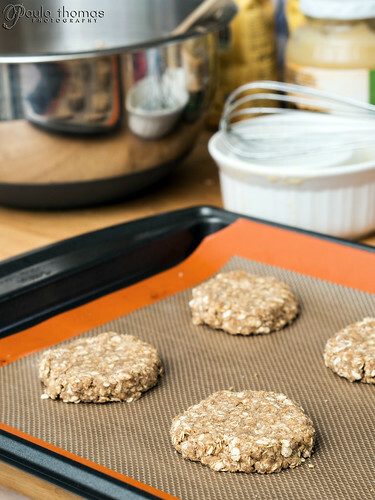 I would most definitely try this oatmeal cookie recipe!! I want to try this one with some chopped fresh apples! I have a GI problem that means I have to eat small amounts often, and with my sweet tooth even treats have to be good nutritional choices to rate being on the menu. I hadn't thought of using nut flours to work them into my diet and would love a shot at trying Bob's Red Mill's products to help with it. I liked you awhile back on Facebook and just liked Bob's Red Mill. I'd push you on Twitter but I don't have an account. Like bobs red mill on Facebook! My daughter is recently diagnosed with gluten intolerance. At this point, it is new enough she is doing a lot of experimenting with baking. This looks like a great recipe to try, and I'm guessing she would also try to modify/create some things of her own. Would be so exciting to win and try these great sounding flours. I would try the oatmeal cookie recipe. I like to make banana bread with almond flour and coconut flour, bread, and pancakes. I have not used green pea flour and would like to have recipes that would include it if it does not have a strong flavor. I just started learning about GF baking (+ dairy and egg free, hamff). Don't understand why so many recipes use brown rice and beans flours to make sweets. I'd definitely try the coconut flour and almond flour to bake a cake. I miss cakes. All I've ever had was Bob's Oatmeal...was planning on getting some corn meal and making cheese grits tho! I've liked on Facebook, Bob's Red Mill and the photography site. I would make some almond flour muffins ~ I had some at a friends and they were delicious and GF! I would like to try this recipe. I also would like to make a crisp with these ingredients. And macaroons with the almond flour. If I won this prize, I'd start by making some pancakes. Blueberries are in season here in Washington, so it'd have to be blueberry pancakes! I would try this recipe or use the ingredients in a banana nut bread that I make. I make the bread with Greek yogurt instead of sugar and applesauce instead of oil/butter. I like both Bob's Red Mill and Paula Thomas Photography on FB! 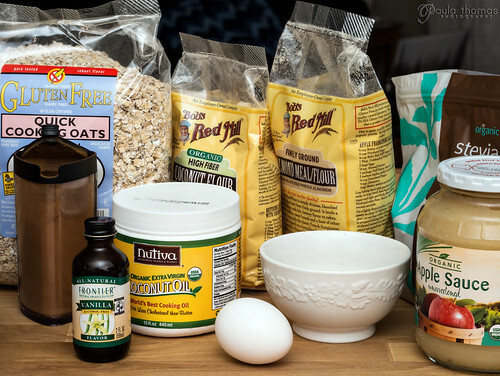 I would make a cake withthe coconut flour and I hear it makes yummy pancakes too! Love the recipe. Need to try this out soon as I am now gluten -free. Awesome click of the cookies. It looks so yummy. Last Sunday I had made this. My family members are praising me for this. This coming Sunday I will make this for my birthday party. Thanks for sharing great info.